4 discs with the Pepper and alternate front cover shots, and 2 with drum logos + various paper items. Also depicted: vinyl album. 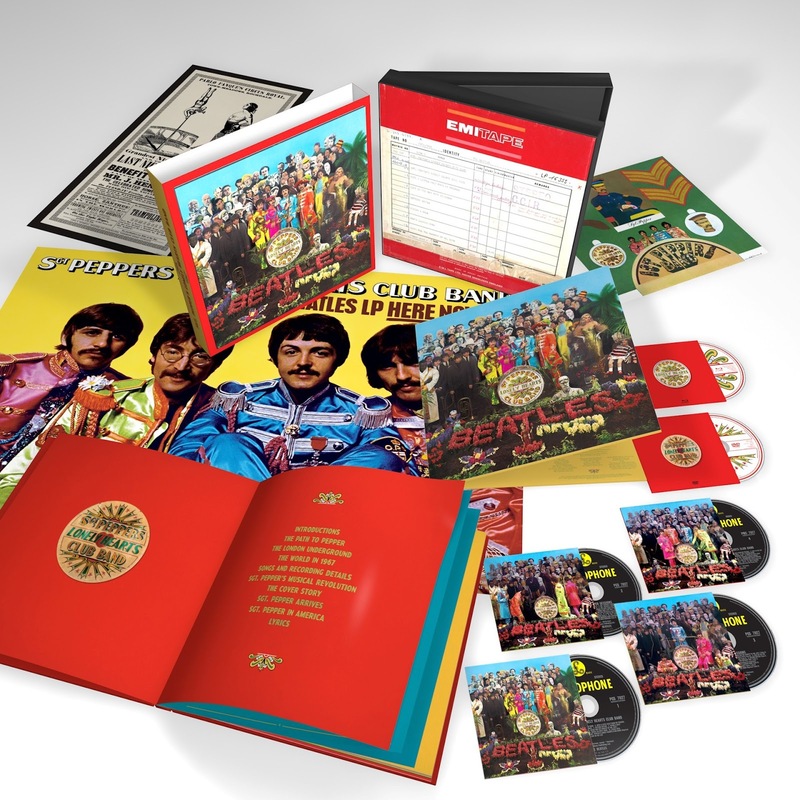 Amazon again jumped the gun a bit when they published photos of the Sgt Pepper items on their pre-order pages. We hear the real press release isn't due until tomorrow, and the images have been removed from Apple. Still, here is a filmed commercial for the anniversary editions. CD 1: stereo remix. CD 2 and 3 "Sessions". CD 4: mono remaster. Disc 5 and 6: DVD and Bluray Audio disc which includeres high resolution audio files, among them a 5.1 surround remix. While impatiently scurrying around on Amazon (there are several configurations of "Sgt Pepper's Lonely Hearts Club Band" listed there now on Apple, including a 6 disc super deluxe edition), up popped this early listing for an upcoming limited vinyl edition of Ringo Starr's "Bad Boy" album! Due out June 16, 2017 on Friday Music, this follows last year's "Time Takes Time" release from the same company. 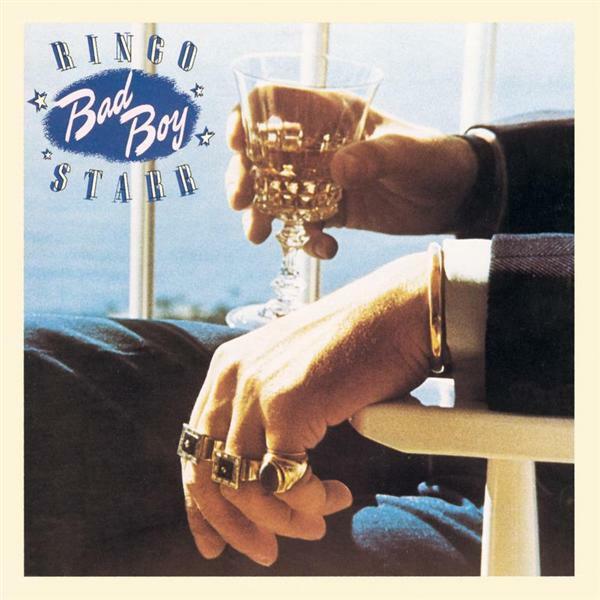 Originally released in 1978, "Bad Boy" was the seventh studio album by Ringo Starr, at a time when his career had taken a dip. The album reached only number 129 in the US, despite the airing of a prime time TV special entitled Ringo (aka Ognir Rrats), on 26 April, which also starred other celebrities, including Carrie Fisher. After the non-success of three consecutive albums, his record label in the UK, Polydor cancelled his contract, and it would also be the final album from Ringo on the Portrait label in U.S.A..